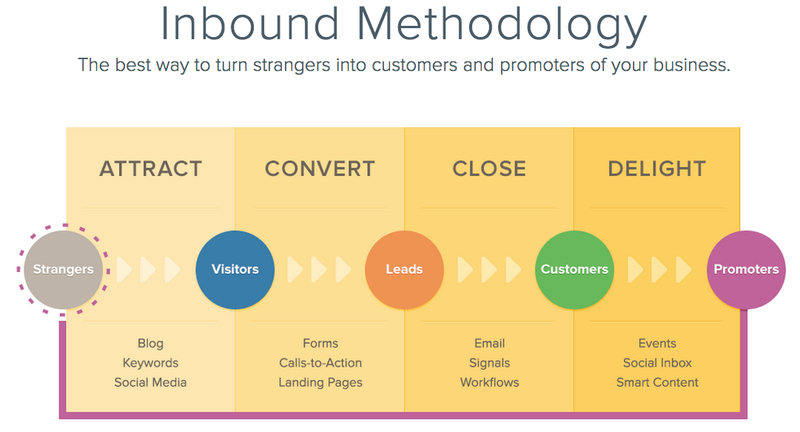 Inbound Marketing with HubSpot.com - The future is now! 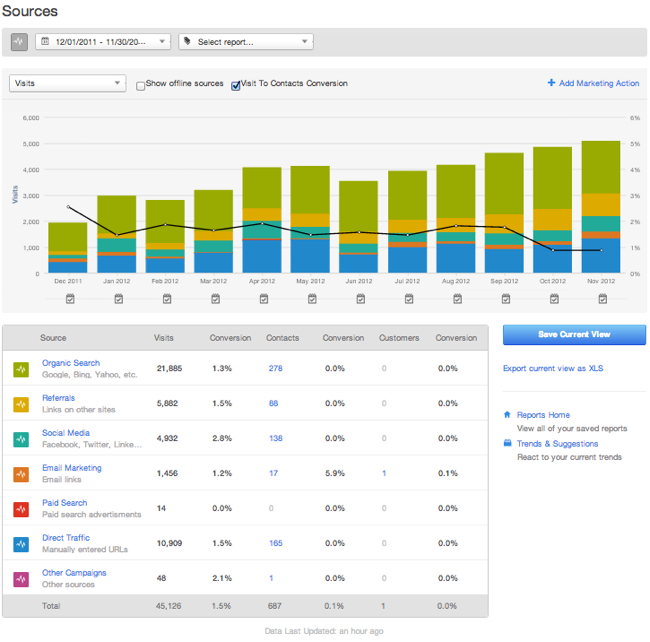 The following chart is our 4th year Sources report for HubSpot usage, - see HubSpot year 4 review. The chart shows our visitors and the conversion rate into contacts/leads.. You cant fake these numbers, you have to do the work. Inbound Marketing is central to Advanced Marketing Concepts' Marketing and Sales Performance Methodology. Admarco clients moving from traditional marketing to Inbound Marketing powered by HubSpot and the HubSpot methodology report a transformational impact on their business. Typically clients experience 5-times more effective inbound lead generation, significantly improved marketing productivity and measurable ROI. HubSpot is a Fully Integrated Inbound Marketing Platform that is receiving rapid adoption as it replaces discrete marketing tools to improve marketing productivity in one easy to use platform. Advanced Marketing Concepts helps companies create clarity in their messaging as part of an Inbound Marketing Solution and to elevate the quality of 1:1 conversations with buyers around their likely business issues.